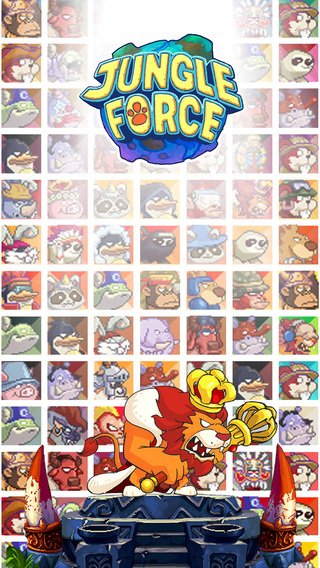 Jungle Force is a 2D mobile strategy game developed by Fedeen Games and is available for download for iOS and Android. 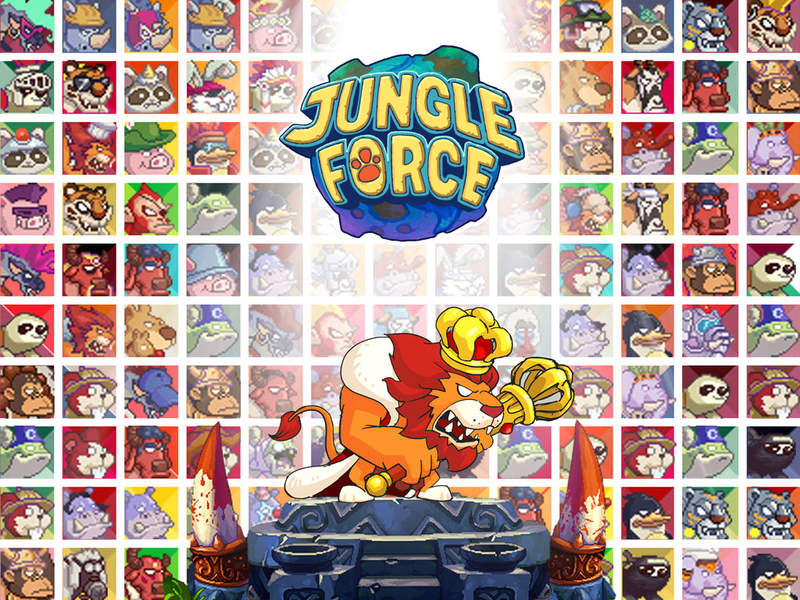 In Jungle Force players experience a world through retro graphics where they must lead a customizable group of animals in strategic combat. 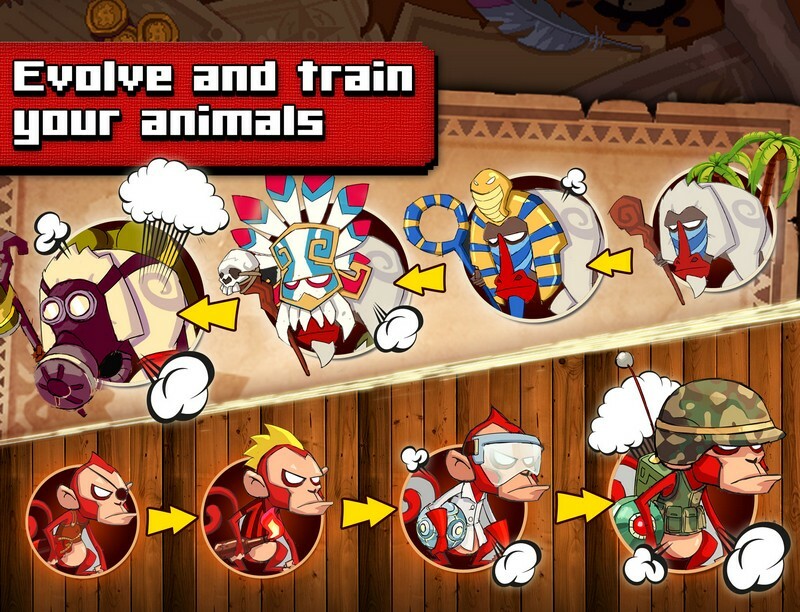 Teams can consist of up to 5 different animals, some of which can be borrowed from your friends. 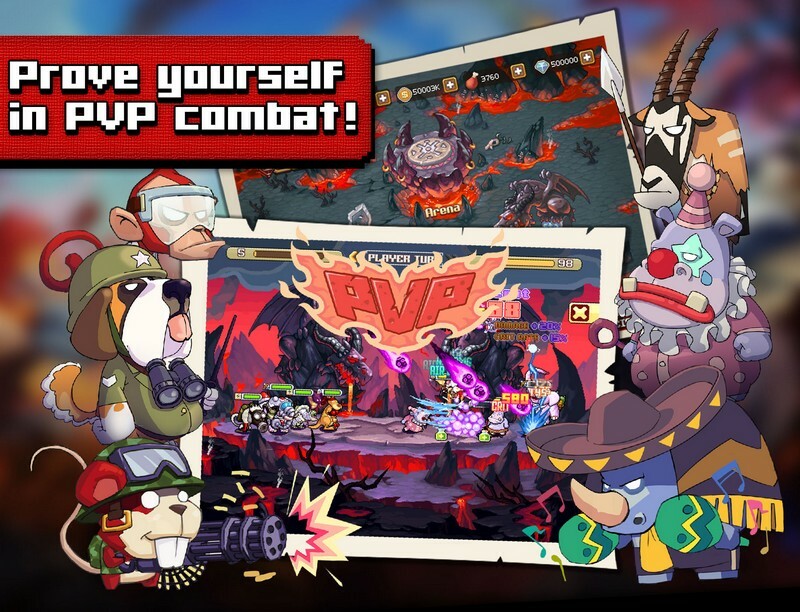 Animals will gain experience in combat and can be evolved into stronger and more visually impressive animals along the way. 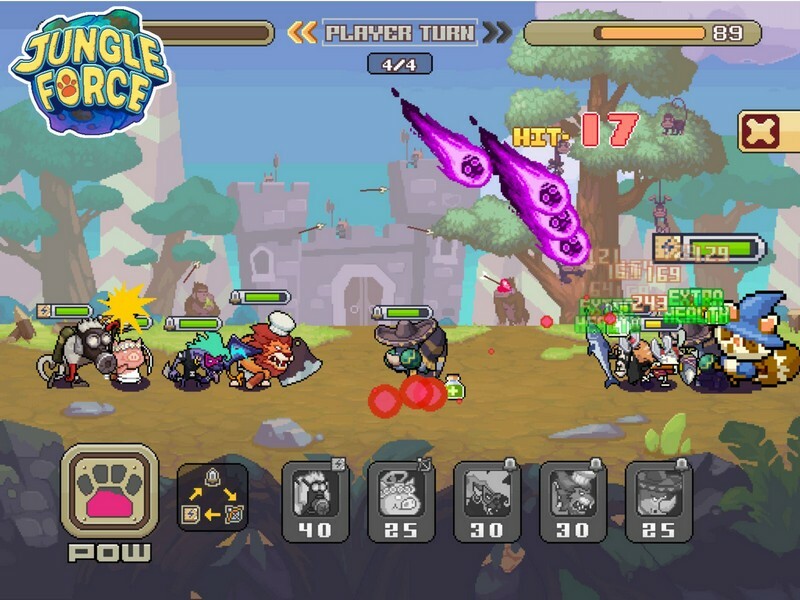 They can even be equipped with different items to improve their power. 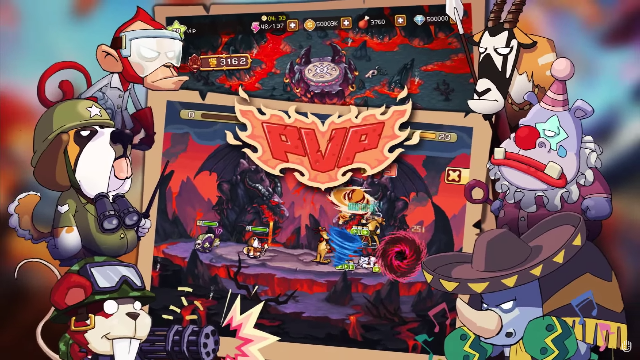 Over 100 different levels can be taken on in solo play and PvP matches can be waged to determine the ultimate animal commander. Various Team Compositions: Players can choose to outfit their animal team with up to 5 animals, but they don't have to meet that maximum cap. If a smaller number of animals is used, then they can attack more often than what a group of 5 animals would. 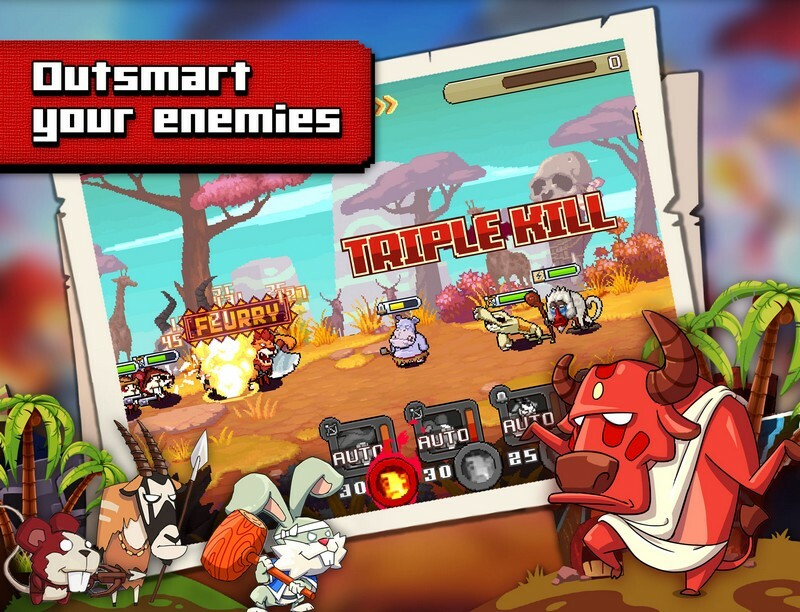 Combo Attacks: Combo attacks can be timed between different animals to deal even more damage than what their attacks would do by themselves. Daily Quests: Daily Quests can be completed and will reward players with valuable resources. 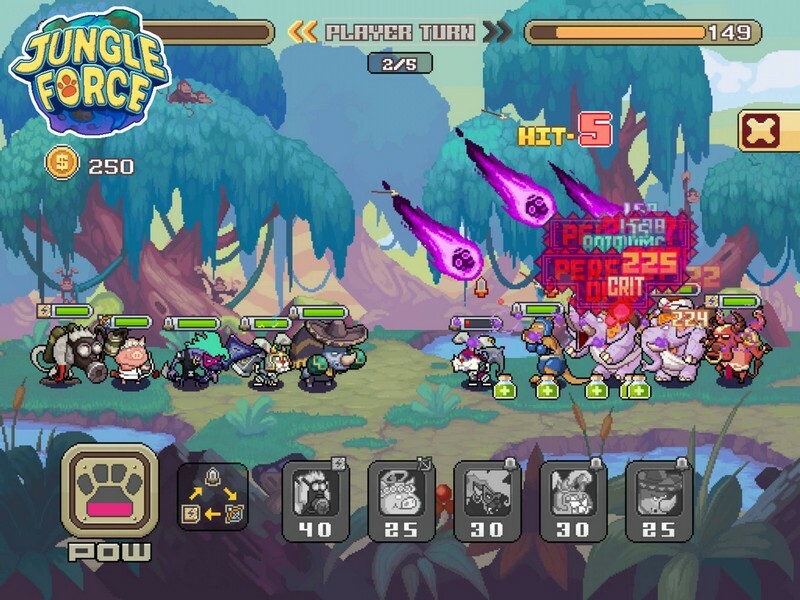 The trailer for Jungle Force, a free-to-play turn-based strategy game developed by Fedeen Games for both iOS and Android.